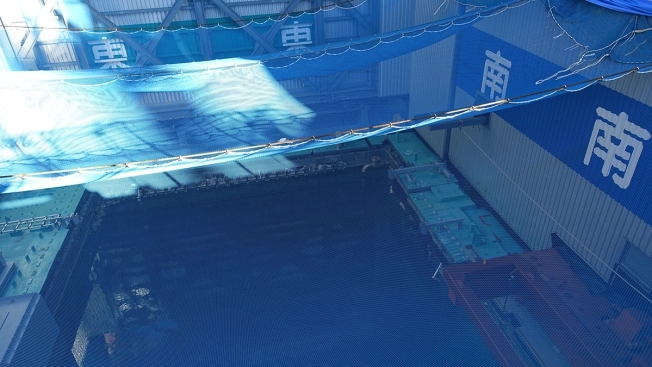 In this Jan. 25, 2018, file photo, a cooling pool where a total of mostly used 566 sets of fuel rods are stored underwater and covered by a protective net, waits to be removed in a step to empty the pool at Unit 3 of the Fukushima Dai-ichi nuclear power plant ahead of a fuel removal from its storage pool in Okuma, Fukushima Prefecture, northeast Japan. The photo was taken when an installation of a dome-shaped rooftop cover housing key equipment is near completion at the Unit 3 reactor. 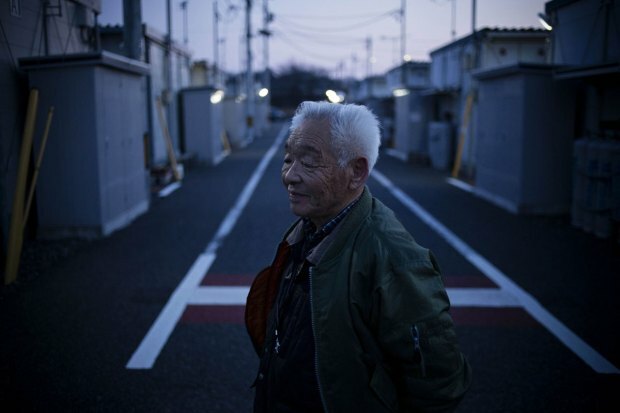 The Tokyo Electric Power Co. said Monday, April 15, 2019, workers started removing the first of 566 fuel units from the pool at Unit 3, one of three reactors whose cores melted through.